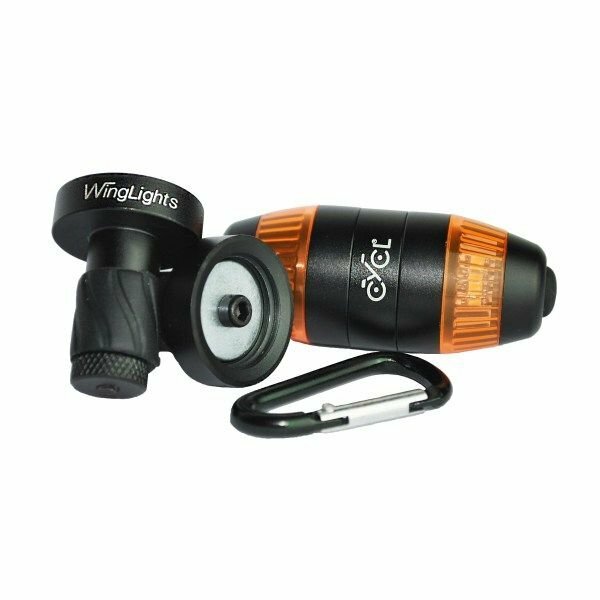 cycl.bike WingLights Mag are our original high quality turn signals that magnetically attach to your handlebar ends. Easy to install and use, the turn signals flash bright amber and can be seen from all angles and at any time of the day. When removed, the units clip together to form a keyring on a karibiner for safekeeping.